PUNE: Central government-owned Bank of Maharashtra (BoM) is on the mend and deserves to continue operating as a separate entity, not be merged into bigger and other lenders, says its outgoing managing director (MD). The bank is presently under the Prompt Corrective Action (PCA) clamp of the Reserve Bank of India (RBI), for having seen an undue rise in stressed loans. 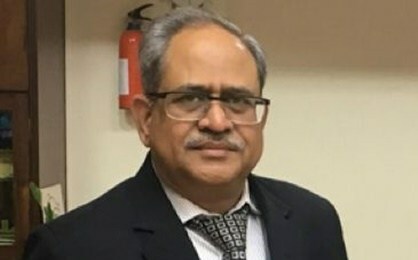 Ravindra Marathe, the outgoing MD and chief executive officer (Thursday was his last day in this office), was asked by pune-news.com if there was a business case for BoM to remain a separate entity, in the backdrop of consolidation among other state-owned lenders. He asserted there was a strong commercial basis for staying an independent entity. He said: "We might not grow at 20 per cent (annually) but will definitely grow at five to 10 per cent. Nothing wrong in that. It is stable and steady performance. "It was, he added, the only bank with nearly 60 per cent of its branch network and 62 per cent of its business in Maharashtra. Most others did not have more than 30 per cent of their business in the state where they have their headquarters. After State Bank of India absorbed its various associate banks, the central government put in motion a decision to amalgamate Vijaya Bank and Dena Bank with Bank of Baroda. It is scanning for more such opportunities among state-owned lenders. Marathe indicated he'd be open to BoM being allowed to function as a regional bank, with some restrictions such as concentrating its activity only in Maharashtra. There is, he added, a large market in retail lending -- comprising households, personal, agricultural and micro, small and medium-sized enterprises. Albeit, it is a highly competitive market with new-generation banks, small finance banks and finance companies, he said. If a merger is the course for the future, said the outgoing MD, it would come with both pluses and minuses. BoM reported a net profit of Rs 270 million in the September quarter, with higher loan recovery and control on cost, including interest cost. This was after a net loss for 10 quarters in a row, since March 2016. In the June quarter, the first one of the current financial year, it had a net loss of nearly Rs 11.2 billion. There was an earlier problem regarding criminal charges against him and executive director R K Gupta for allegedly wrong sanction and disbursement of loans to a Pune-based realty developer. As a sequel, his powers as MD & CEO were restricted in June. These were restored in early November after a decision by the Pune police to withdraw the charges against both bankers. On the bank's expanding loan book, Marathe said there was no ban on lending under the PCA regime. There were some which came as part of the capital infusion plan, wherein the government had specified that risk-weighted assets not exceed a specified limit. The PCA framework does specify a bank to not to give risky loans, shun unnecessary capital expenditure and also curb branch expansion and recruitment, he said. The deposits' franchise was strong (46 per cent of the total being current and savings accounts) and as long as money was coming in, the bank has to deploy it, he said. The bad loan problem would be resolved only after fresh lending (which met prudential norms) took place, he added.